Indian cinema is finally focusing on women centric biopics, signifying women power by depicting their accomplishments. One such movie is Neerja which talks about the brave and selfless Neerja Bhanot, the flight attendant of Pan Am Flight 73. Flight tickets were booked and people were flying from Mumbai to the USA. It was 5th September 1986 when four armed men hijacked the plane at Karachi, Pakistan and were targeting the Americans. It was Neerja, the Bold and the Beautiful, who fought with courage and saved lives of several passengers. Social media is abuzz with two videos - one is of the voice recording of Neerja Bhanot’s flight announcement and the other one in which Neerja’s mother, Rama Bhanot talks about her daughter and showers blessings for the movie ‘Neerja’. Here's some of the unknown facts about Neerja Bhanot. 1. 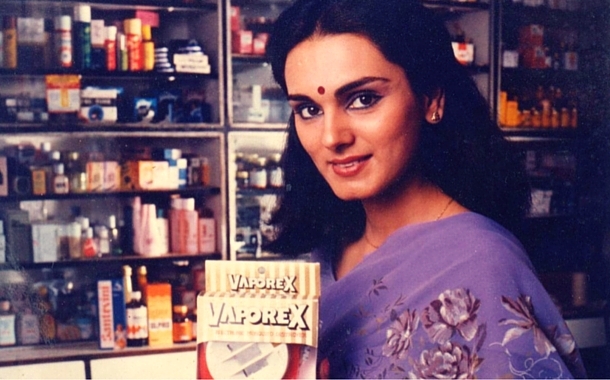 Born to Rama Bhanot and Harish Bhanot in Chandigarh, Neerja Bhanot was first spotted by a magazine at the age of 16. Her beauty and talent led her to become a supermodel. She was featured in many advertisements. 2. Neerja tied the knot in 1985 and moved to Gulf. But the marriage didn’t work out and she returned to her parent’s home in Mumbai within a couple of months. 3. Her family members lovingly called her ‘Laado’. Indeed she proved to be a favourite of all by her heroic act. 4. Neerja applied for the position of a flight attendant with Pan Am. She went to Miami for training and successfully returned as a purser (chief flight attendant). 5. The hijackers of Pan Am Flight 73 asked Neerja to collect the passports of all the passengers so that they could identify the Americans. Smartly, she hid the passports of the Americans and saved their lives. 6. Neerja was shot by bullets only some hours before her 23rd birthday which was 7th September. 7. As a tribute to this brave soul, the Indian Postal Service released a stamp in 2004. She was also the youngest recipient of the prestigious Ashok Chakra award. 8. 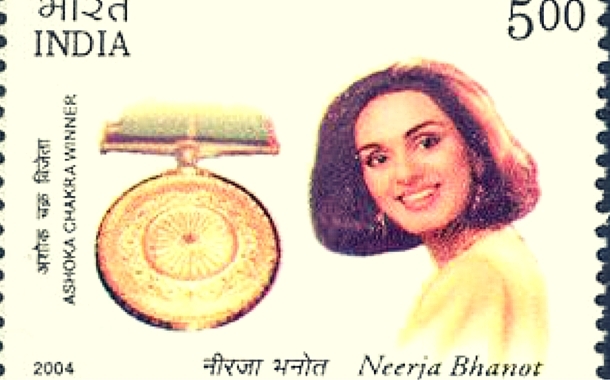 There’s a square called Neerja Bhanot Chowk which is named after her in Ghatkopar, Mumbai. 9. 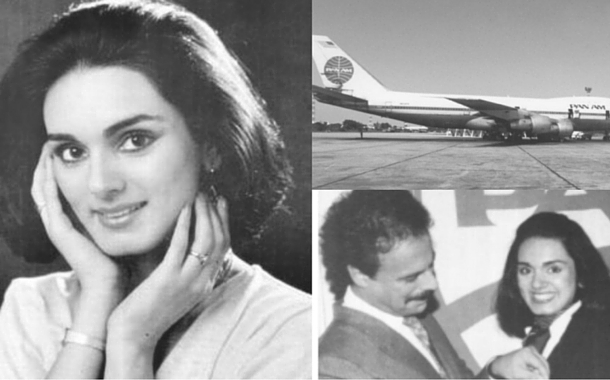 For her fearless act, Neerja was recognised internationally as ‘The Heroine of the Hijack’. 10. 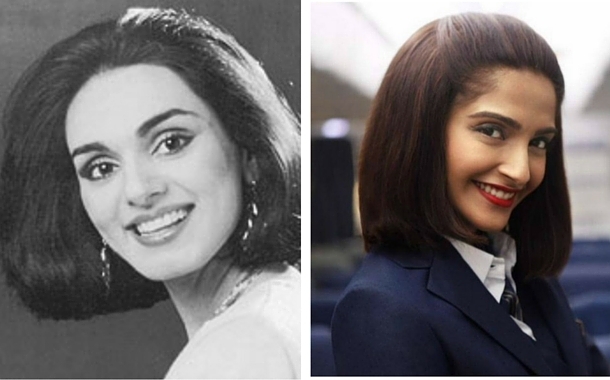 Neerja's mother saw a striking resemblance in Sonam Kapoor and Neerja Bhanot. Before the filming of the movie, when Sonam Kapoor met her mother, she said, "Yeh toh meri Laado hi hain".